The Globe and Mail takes a look at the campaign-changing events from the writ drop on Aug. 2 to the Liberal sweep on Oct. 19. Green party Leader Elizabeth May, NDP Leader Tom Mulcair, Bloc Quebecois Leader Gilles Duceppe, Conservative Leader Stephen Harper, and Liberal Leader Justin Trudeau pose for photos before the French-language leaders’ debate in Montreal September 24, 2015. 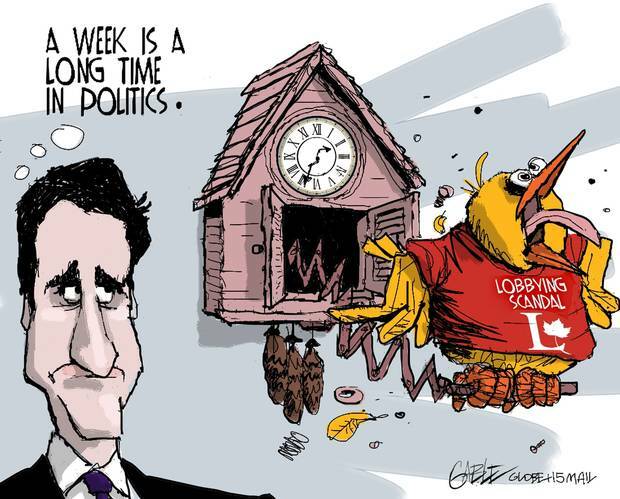 The 11-week campaign for Canada's 42nd general election was the longest and costliest in Canadian history. It involved a fair share of ups and downs for each party involved. At one point, it was a three-way race. There was a time when the NDP surged ahead. The Conservatives looked like they would form another minority government for a long time. But in the end – as the public mood shifted over the final week or two as it often does – Liberal Leader Justin Trudeau won a majority government. This chart shows the results of The Globe's forecast from June 10 to Oct. 18, 2015. 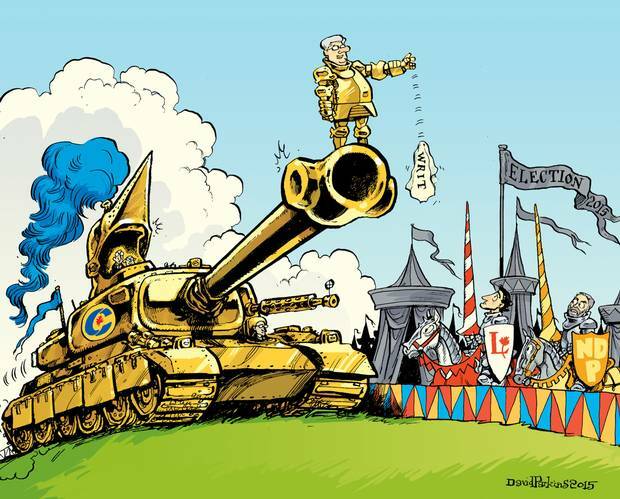 The writ drop begins a historically long election campaign – and accusations that the Conservatives were cynically taking advantage of their swollen war chest to outspend the other parties. Some observers also wonder whether the campaign's early start will backfire on the Tories as the Duffy trial looms. Ahead of the first leaders' debate, hosted by Maclean's magazine, Conservative spokesperson Kory Teneycke sets the bar low for Justin Trudeau. "I think that if he comes on stage with his pants on, he will probably exceed expectations," Mr. Teneycke says. 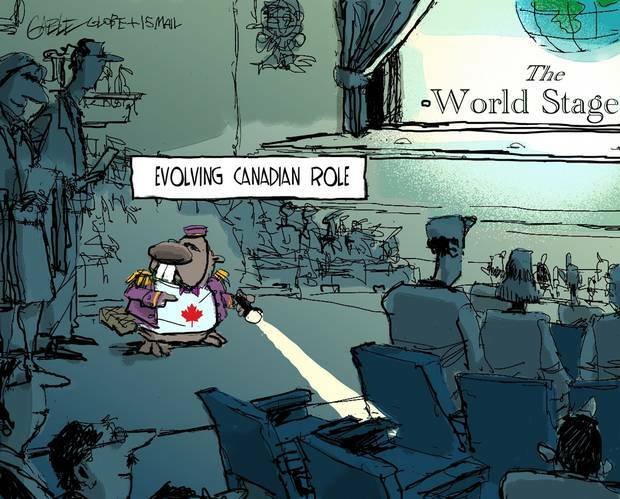 But Mr. Trudeau surprises many observers with his plausible performance. He may not have won the debate, but he has established himself as a credible party leader with an aggressive – some think manic – style. It soon begins to appear as though the Conservatives, and Mr. Teneycke, have underestimated the Liberal standard-bearer. Former chief of staff Nigel Wright's testimony in Senator Mike Duffy's fraud trial dominates headlines in the campaign's first weeks. The trial brings to light revelations that senior Prime Minister's Office staffers knew more about plans for Mr. Wright to repay Mr. Duffy's $90,000 expense tab than had previously been disclosed. Stephen Harper is dogged by questions about the testimony as he travels the country unveiling policy pledges, though the issue fizzles over the long campaign. China's "Black Monday" causes a huge, if temporary, slide on the TSX, which fell 750 points before partly bouncing back. Mr. Harper uses global uncertainty to make the case that his is the only party with the steady hand to guide Canada's economy. In what is widely seen as a bold strategic gamble, the Liberals announce their plan to run deficits until 2019-20 if elected. That gives them the fiscal wiggle room to promise $125-billion in new infrastructure spending. It also allows them to position themselves to the left of the NDP, an important move in a campaign defined by who would reap the "change" vote. The Conservatives and NDP attack the deficit pledge as irresponsible. News that Canada's economy had contracted for two straight quarters to begin the year is greeted by the Liberals and NDP with barely disguised glee, as the opposition parties seek ammunition against Stephen Harper's economic record. The Conservatives counter that the dip in growth was spurred by factors outside their control – tanking oil prices, mainly – and that the economy remains fundamentally strong. The government's view is buoyed by a BMO economist who releases a research note that read "Best. Recession. Ever." The photo, splashed on front pages around the world, is shocking: a lifeless toddler lying on a beach, the surf lapping at his hair. This was Alan Kurdi, a three-year-old Syrian refugee who died on the dinghy ride from Turkey to Greece, along with his brother and mother. His parents, it soon emerged, were trying to get to Canada. The Kurdi family's story touches and disturbs Canadians, vaulting the Syrian refugee crisis to the campaign's forefront. In what is seen as a part vindication of the Conservatives' "steady as she goes" approach, the Bank of Canada holds interest rates steady at its monetary policy meeting. The central bank points to strong household spending and a recovering U.S. economy as evidence of Canadian vitality after a prolonged swoon caused by tumbling oil prices. The Conservative claim to solid fiscal-stewardship – a centrepiece of the party's pitch for re-election – gets a boost when the federal government announces a $1.9 billion surplus for 2014. Given the revenue hit from falling commodity prices, the news comes as a surprise. But another factor outside of government control is partly responsible for the strong showing: lower public debt payments because of low interest rates. Attempting to shed its image as a party of spendthrift socialists, the NDP promises four straight balanced budgets if elected. Critics are quick to charge that the party's plans for raising revenue – a two-point corporate tax increase; closing the stock-option compensation loophole; ending income splitting – would fall short of their spending commitments. At this stage of the campaign, the country's focus is on the economy. (Later, identity politics and immigration will take centre stage.) Canada is nudging its way out of a technical recession, oil is stubbornly cheap, and the question of deficits vs. surplus is shaping the party platforms. The Globe's debate, moderated by editor-in-chief David Walmsley, showcases three leaders with sharply contrasting visions and styles: Thomas Mulcair of the NDP preaching good government with a sharp tongue; the Liberals' Justin Trudeau insisting on investment and optimism with nearly manic verve; and Stephen Harper, quietly defending his nine years of low taxes and relative fiscal conservatism and stoking fear of what "the other guys" would do. All eyes are on Thomas Mulcair as the NDP leader seeks to protect his party's significant lead in Quebec. Also trained on Mr. Mulcair: his opponents' sights. Mr. Harper hammers at the NDP position on niqabs at the citizenship ceremonies, while Bloc leader Gilles Duceppe quips that the NDP chief appears to have different messages in English and French Canada: "Does Tom sometimes speak to Thomas?" The niqab issue has roiled political waters in Quebec like nowhere else. One poll shows 93 per cent of Quebeckers support Mr. Harper's position. That means trouble for the NDP, which opposes banning the face covering at citizenship ceremonies. The party's political base is in Quebec, and holding on to the province has been a prime objective of the NDP campaign. The interlocking questions of national identity, security, and Islam come to dominate the middle part of this campaign, and rarely more knottily than in the case of Zakaria Amara. A convicted "Toronto 18" terrorist plotter, he receives a letter from the federal government saying he was no longer a Canadian citizen. Justin Trudeau accuses the government of creating "two-tiered citizenship." A perennial third-place party and "the country's conscience," the NDP look to have a real shot of forming government, with the Liberals in disarray, and the country eager for change. But after months atop the polls, the NDP's base in Quebec is beginning to crumble amidst public opposition to their stance on the niqab. The niqab continues to roil the campaign in Quebec, as Mr. Mulcair and Mr. Harper exchange barbs over the propriety of wearing the garment at citizenship ceremonies. "You are totally disconnected from the reality of Canadians," Mr. Harper tells the NDP chief during the debate in Quebec. "Your actions are unworthy of a prime minister," Mr. Mulcair shoots back. The battle is a draw, but the NDP are on their way to losing the war. In what is seen by many critics as a cynical attempt to stir up fear of Muslim immigrants, the Tories promise to institute a tip line for reports of "barbaric cultural practices." Designed to strengthen enforcement of a law passed earlier this year, which set strict penalties for crimes such as polygamy and honour killings, the tip line and the law are decried as superfluous and inflammatory. The episode accelerates the campaign's move toward identity politics. 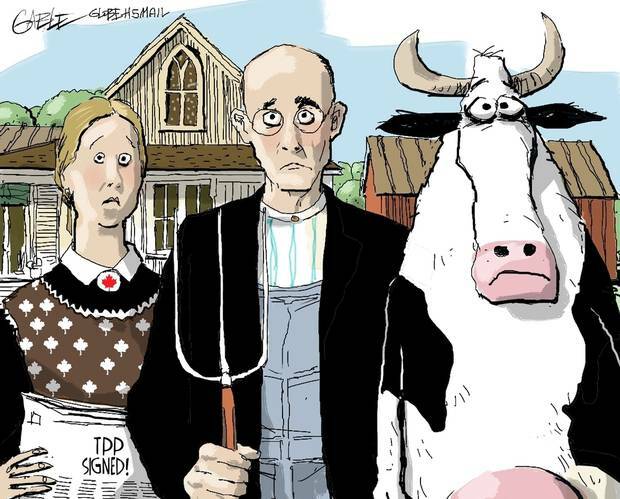 The Trans-Pacific Partnership knits together 12 countries accounting for 40 per cent of the world's GDP, but it was almost blocked, at various points, by Canadian dairy farmers and auto parts makers. When the member countries finally overcame their local hurdles, the deal was hailed as a gold standard trade pact, bigger than NAFTA. Mr. Harper trumpets the agreement as a major economic achievement, while the NDP, perhaps hoping to shore up their left flank, come out against the deal. The alliance of big broadcasters that had aired leaders' debates since 1968 comes apart at the seams this election after the Conservatives refused to participate. The NDP boycotts any debates without the governing party, which seals the consortium's fate. The networks – the CBC, CTV, Global, Radio-Canada and Télé-Québec – are accused of acting in bad grace, not to mention abdicating their democratic duty, when they refuse to air several smaller debates hosted by Maclean's and The Globe and Mail. The Harper government has already been criticized for a slow, half-hearted response to the Syrian refugee crisis. But a Globe and Mail revelation that the Prime Minister's Office has intervened in the vetting of UN-referred refugees, slowing down the response further, helps catalyze anger around the issue. Later, The Globe reports that the Tories were using criteria such as business experience and English fluency to triage the flow of migrants. With Conservative support flagging and the Liberals ascendant, Mr. Harper has trotted out a campaign gimmick wherein supporters count out the cost of Liberal tax hikes with real dollars, accompanied by the sound of a ringing cash register. And Rob and Doug Ford, members of the controversial Toronto political family, attend a Harper rally in the city. Given the Conservatives' tough-on-crime image, and Rob Ford's admitted use of crack cocaine, the former mayor's presence is thought by some to be jarring, if not hypocritical. Liberal campaign co-chair Dan Gagnier resigns over a leaked e-mail showing that he sent a memo to TransCanada Corp. about how to lobby a future government over oil pipelines. Mr. Harper uses the affair to argue that the Liberal Party's culture hadn't changed since the days of the sponsorship scandal – a remarkable pivot for a Conservative Party that was itself embroiled in an ethics scandal when the campaign began. It was a stunning end to a long, bitter campaign: Justin Trudeau, son of a former prime minister, elevated to the same office after leading his party to the biggest political comeback in Canadian history. With 184 seats, the Liberals secure a strong mandate to implement their big-spending platform designed to jolt the economy. Mr. Trudeau attributes the win to his upbeat campaign and optimistic message. The NDP is crushed, returning to a distant third-place and raising questions about its leadership. Maybe most significantly, it ends close to a decade of Conservative rule in Ottawa, a polarizing stretch that saw a crackdown on crime, lower taxes, a more aggressive stance in the world, and an economic emphasis on oil and the West. Mr. Harper's resignation as leader of the Conservative Party was at once momentous and oblique, a combination that was perhaps characteristic of his tenure as prime minister. Throughout the campaign, he had promised to step down if he lost the election, so a resignation is expected. But Mr. Harper makes no mention of leaving the top post during his concession speech. Reporters were left to put two and two together after party president John Walsh sends out a release saying the PM had given instructions for the parliamentary caucus to choose an interim leader. With that, a gesture both definite and indirect, the Harper era in Canadian politics was over.